Figure 4.2.2-1: Button "Diagrams" (1) deselects "Displacements" (if already selected). Button sequence "Shears" (2), "Show Values" (3), in Slabs Results field, displays the 3D view of [Vx] and [Vy] at medial sections. Figure 4.2.2-2: Button sequence "M", "View", "Options", "Front", "OK", "Quad" displays the front view of 3D shear forces [Vx].. Figure 4.2.2-3: Button sequence "View", "Options", "Rear" displays the rear view of 3D shear forces [Vy]. Figure 4.2.2-4: Button "Moments" (1)  displays the 3D view of [Mx] and [My] at middle sections. Figure 4.2.2-5: Button sequence "View", "Options", "Front", "Quad" displays the front view of 3D bending moments [Mx]. 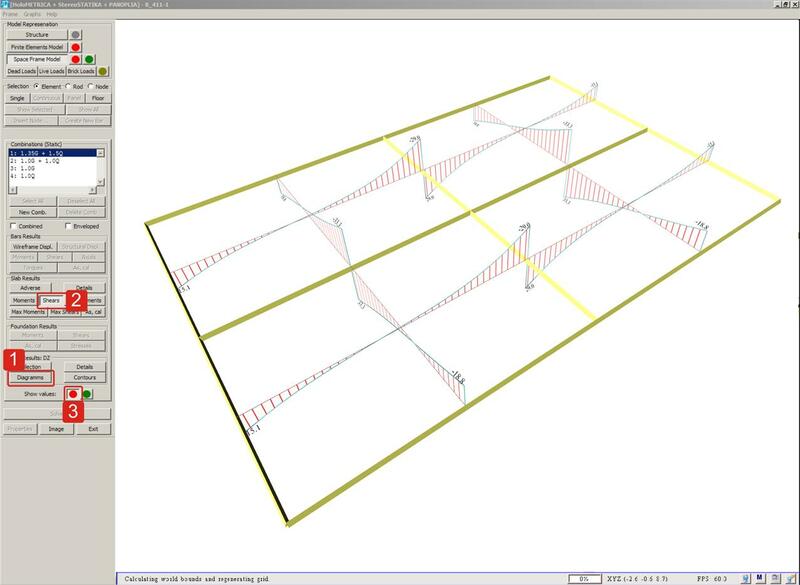 Figure 4.2.2-6: Button sequence "View", "Options", "Rear" displays the rear view of 3D bending moments [My]. Figure 4.2.2-7: Button "Displacements" (1) displays the 3D view of deflection at medial sections. Τhe maximum deflection of the slabs is equal to y=1.53 mm. Figure 4.2.2-8: The front view of 3D deflection in direction x. Figure 4.2.2-9: The front view of 3D deflection in direction y. 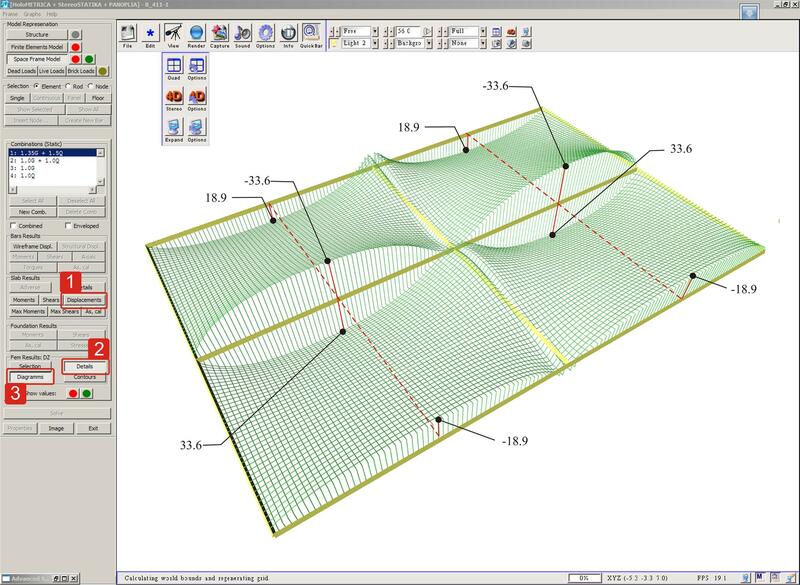 Figure 4.2.2-10: In field Slab Results: Button "Displacements" (1) for 2nd time hides deformations. 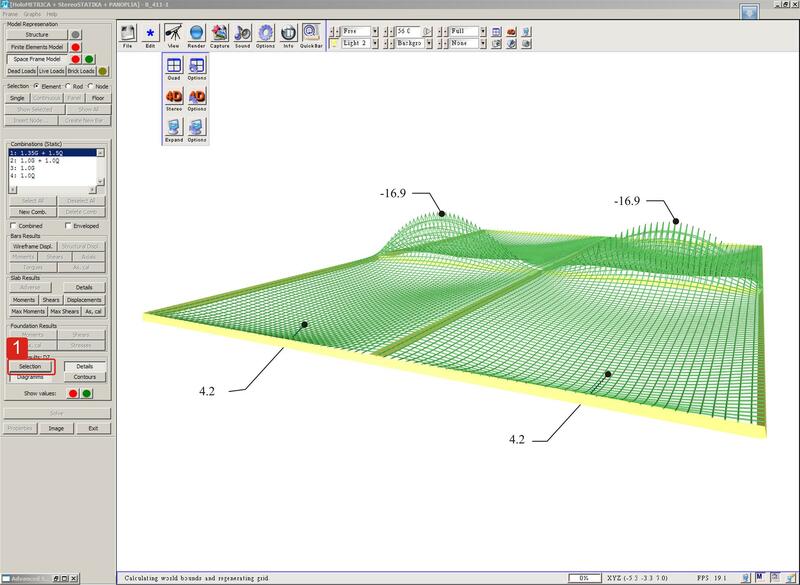 In field FEM Results: Button "Details" (2) defines distribution per 0.1 m. Button sequence "Selection", "Bending", "V11", "Diagrams" (3) displays the 3D view of the distribution of shear forces [Vx]. Figure 4.2.2-11: Button sequence "M", "View", "Options", "Front", "OK", "Quad" displays the front view of 3D distribution of shear forces [Vx]. Figure 4.2.2-12: Button sequence "View", "Options", "Rear" displays the rear view of the 3D distribution of shear forces [Vx]. 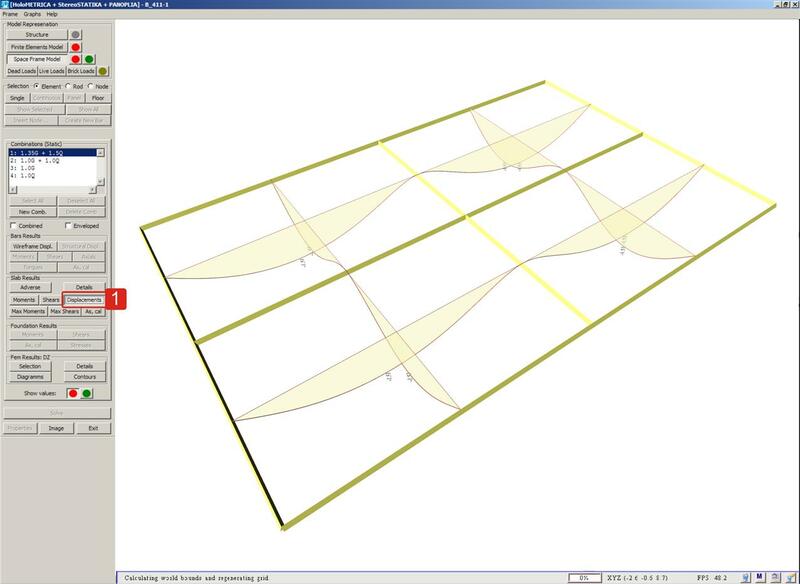 Figure 4.2.2-13: Button sequence "Selection" (1), "Bending", "V22" (2) , "View", "Quad" (3) displays the 3D view of the distribution of shear forces [Vy]. 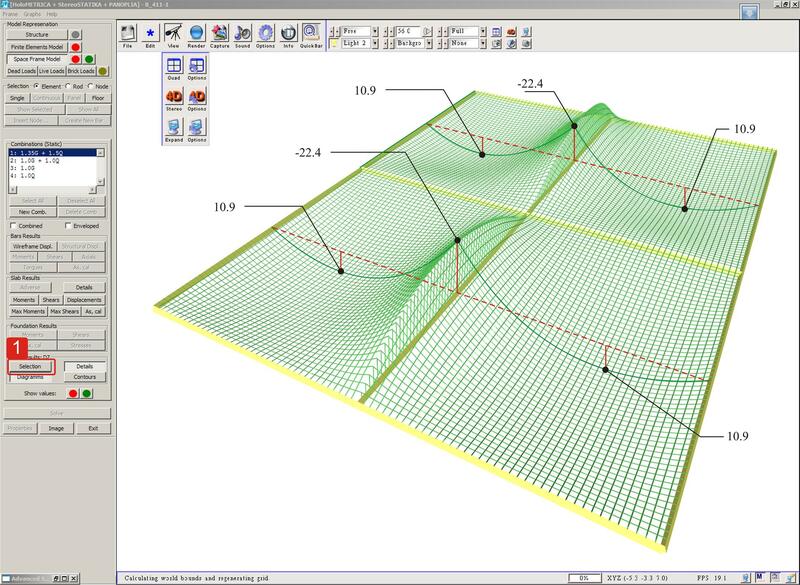 Figure 4.2.2-14: Button sequence "View", "Options", "Front", "Quad" displays the front view of the 3D distribution of shear forces [Vy]. Figure 4.2.2-15: Button sequence "View", "Options", "Rear" displays the rear view of the 3D distribution of shear forces [Vy]. 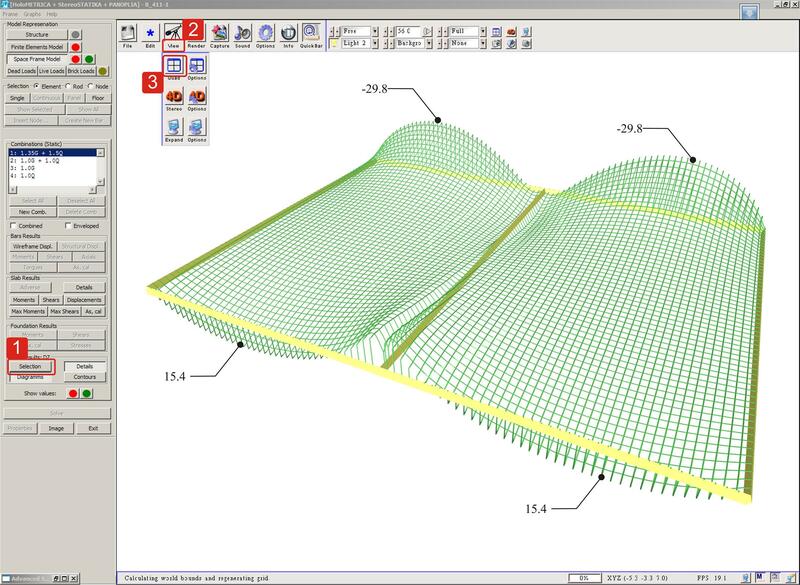 Figure 4.2.2-16: Button "Selection" (1) , "Bending", "M11" "Diagrams" displays the 3D view of distribution of bending moments [Mx]. Figure 4.2.2-17: Button sequence "Selection", "Bending", "M11", "Diagrams" displays the 3D view of distribution of bending moments [Mx]. Figure 4.2.2-18: Button sequence "View", "Options", "Rear" displays the rear view of the3D distribution of bending moments [Mx]. 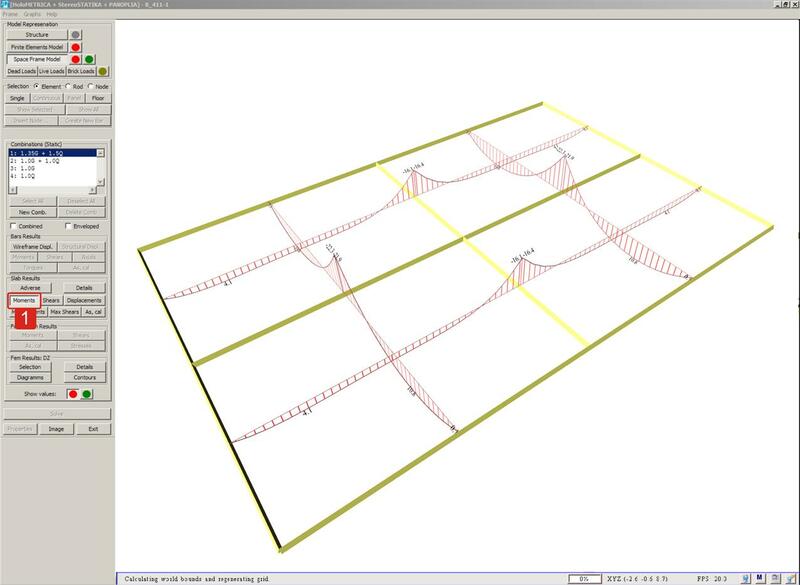 Figure 4.2.2-19: Button sequence "Selection", "Bending", "M22" "Diagrams" displays the 3D view of distribution of bending moments [My]. Figure 4.2.2-20: Button sequence "View", "Options", "Front", "Quad" displays the front view of the 3D distribution of bending moments [My]. Figure 4.2.2-21: Button sequence "View", "Options", "Rear" displays the rear view of the 3D distribution of bending moments [My].